Home » FREEBIES » I Got $153.05 of Stuff FOR FREE! You have to SEE THIS! I Got $153.05 of Stuff FOR FREE! You have to SEE THIS! 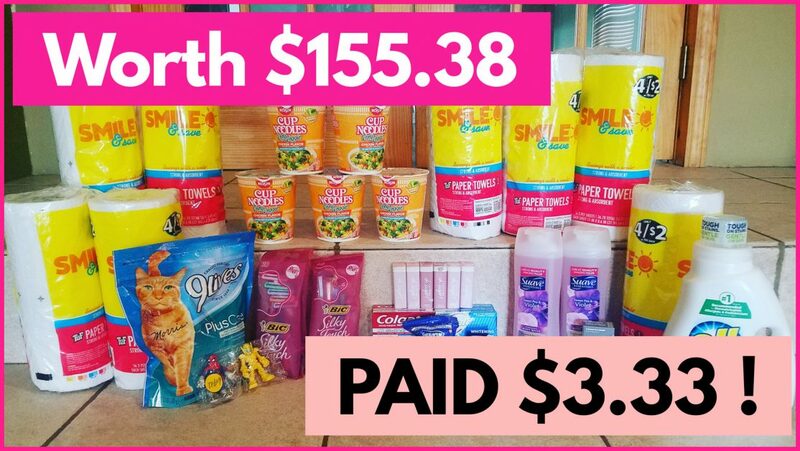 This week I did some Instore Extreme couponing – after I combined some extreme couponing with some in the mail freebies I ended up getting $152.05 worth of free stuff in the last 3 days [ Watch this video HERE or Below ] . This doesn’t even count the free clothes I got from ( Thredup [ GO HERE ] to get yours ) . Also, in this video I am giving away some FREE Stuff! Make sure to LIKE – COMMENT and Subscribe to my [ Youtube Channel ]while you’re there. 12 Instore FREEBIES List ! So easy !